Last month, WPShout published its first ebook entitled Up and Running: A Practical Guide to WordPress Development. The 250-page ebook aims to educate WordPress developers on the fundamentals of core, which includes in-depth walkthroughs by thirteen seasoned WordPress developers, quizzes to test your knowledge at the end of each chapter, and six infographics. Torque: Where did the inspiration for Up and Running come from? That’s pretty much exactly what we’re trying to accomplish. I learned WordPress pretty much by diving in. I read blog posts and Codex entries, which assumed I knew ten things I didn’t. As a result, I ended up working “forward” in the deep technical waters, and “backwards” to understand the basics of what was going on. It was quite frustrating. Learning WordPress development doesn’t have to be that way. Up and Running really takes the time to understand and develop the intuition of people who are just learning WordPress development. We also take a multimedia approach: The ebook features more than fifty tutorial screencasts and thirteen code walkthroughs with top developers. So, not only can you read about WordPress development, but you can also see it put into practice in various ways. Torque: Who is the target audience? WordPress site owners who want to know how to work with and create themes and plugins. Web designers who also wish to learn the principles of WordPress development. Developers coming from other CMSs, like Drupal and Joomla, who want to understand the workings of WordPress. People who want to become professional web developers, and are interested in starting with WordPress. 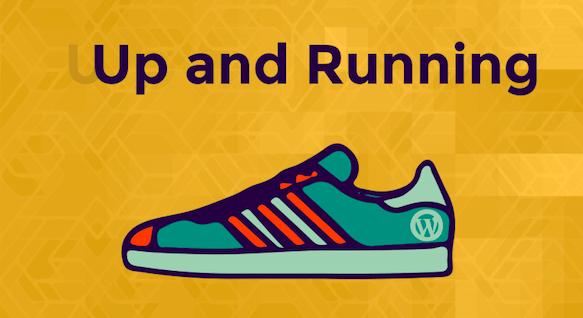 More generally, if you want to understand the key principles and practices of WordPress development, Up and Running is for you! 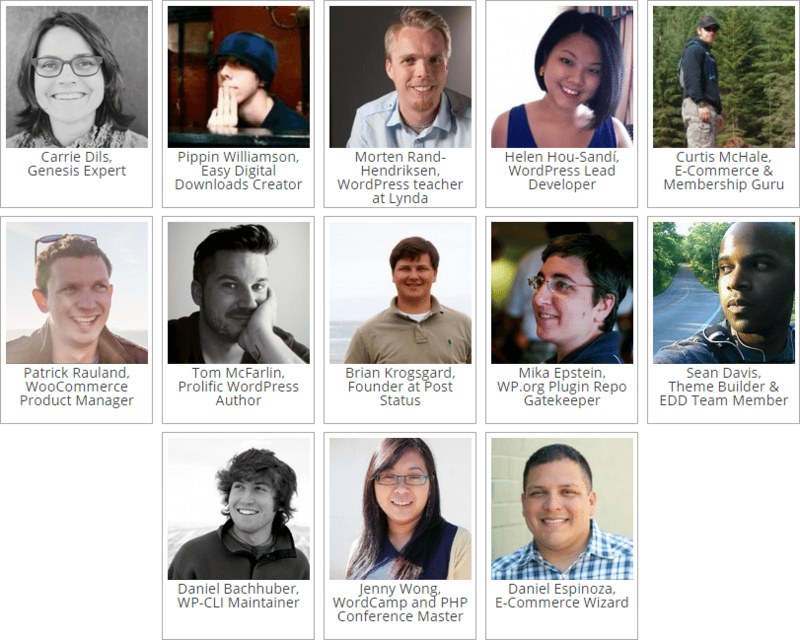 Torque: What advice do the WordPress experts share in the special-interest interviews? FM: As we were planning Up and Running, it occurred to us that WordPress learners could really benefit from understanding the code, and the thought processes, of top WordPress developers. So we started contacting our personal heroes in WordPress—like Pippin Williamson, Tom McFarlin, Morten Rand-Hendriksen, and Helen Hou-Sandí—and most of them agreed to be interviewed. The coding advice they shared, and actually getting to see how they reason through code, make the interviews an amazing resource. For example, Mika Epstein gave an amazing rundown of common errors that crop up when people submit plugins for WordPress.org without understanding the WordPress way of doing things—for example, how to link to theme or plugin resources. Patrick Rauland walked us through a plugin that increases conversions in WooCommerce by converting the “Terms and Conditions” page into a popup. Some of the walkthroughs are very accessible and some are also quite advanced; it’s a nice mix. We also asked for advice on learning WordPress development more broadly. I summarized the takeaways from those conversations in a presentation I gave at WordCamp Denver—you can view the slides here. Breaking down every piece of the technical anatomy of a WordPress theme. We try to make a lot of these things visual by including infographics on how things fit together. As the book progresses, it covers the main technical practices required in WordPress development such as writing hooked functions, creating custom post types, fields, and taxonomies, registering new themes and plugins, and working with WordPress APIs like the Widgets API and WP_Query. Up and Running also includes more than fifty tutorial screencasts. These start with an introduction to WordPress and its technical languages. The screencasts show each step involved in building a child theme, building a theme from scratch, and building a plugin that registers a widget and makes remote API calls. Torque: What are you hoping readers will take away from this ebook? FM: We hope people who engage with Up and Running have a solid grasp on the core principles and concepts of WordPress development: how it all fits together and how to reliably do most of the things that a good WordPress developer does in his or her day-to-day. We hope the book gets users, literally, “up and running” in WordPress development, and well-positioned to learn anything else you need to know from a solid conceptual and intuitive base. Torque: Are you planning on doing more ebooks in the future? FM: Possibly! This was a great experience, and I’ve become pretty opinionated about how to write on, and otherwise teach, technical topics. In either case, we plan to regularly issue new editions of Up and Running as WordPress continues to evolve. For example, when WP-API makes it into core, the content of the package will probably change by a fair amount. Up and Running is out now at upandrunningwp.com! Register with coupon code friendsoftorque to receive a 15% discount on any package. Coupon code expires July 31.